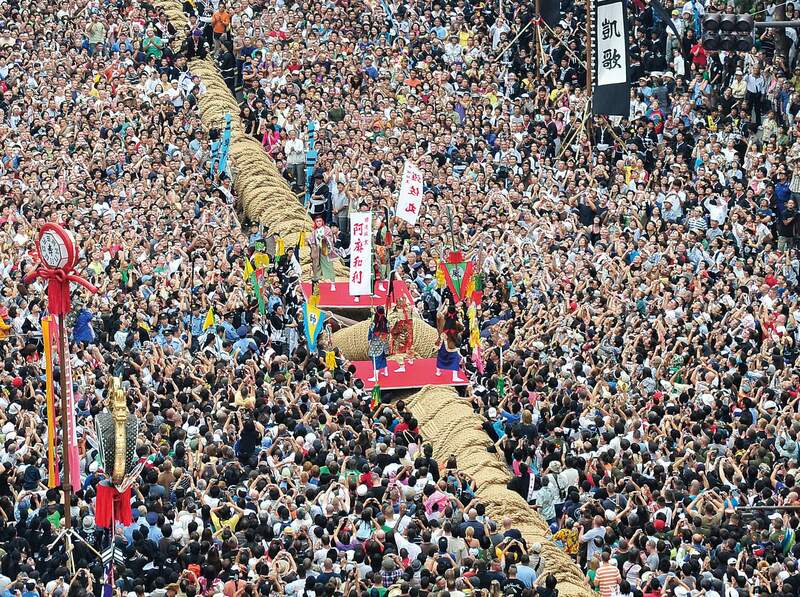 The "Naha Great Tug-of-War Festival" sets the autumn scene in Naha City. The main event, "Naha Great Tug-of-War" holds the Guinness World Record (1997) for the largest tug-of-war with a total rope length of 200 meters, a total weight of 43 tons, and a total of 15,000 participants grinding towards victory. Please come out and experience the dynamic event first hand.